Zoho Sprints is turning a year old today, and we’d like to thank all our users for being a part of this journey. Your valuable feedback has helped us refine our backlog and craft user stories that are focused on you, our end user. 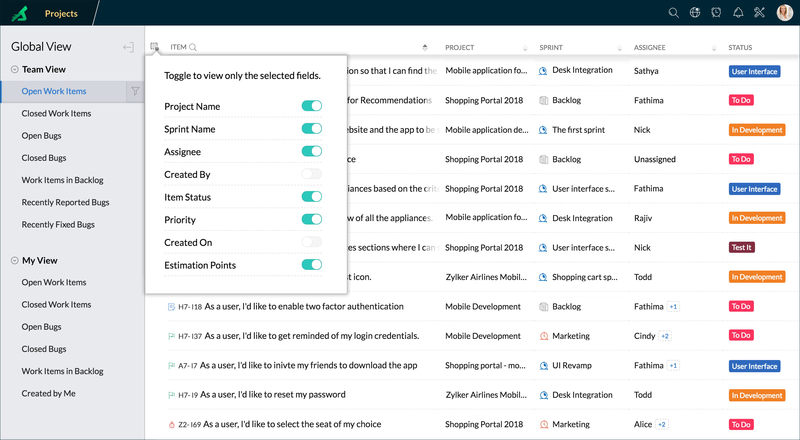 Today, thousands of users manage their agile projects in Zoho Sprints, and we want to highlight some of your experiences with our tool. Building great software is a learning process. When teams at Zoho are faced with uncertainties, we make flexible adjustments and discover novel solutions through an iterative, trial-and-error process. 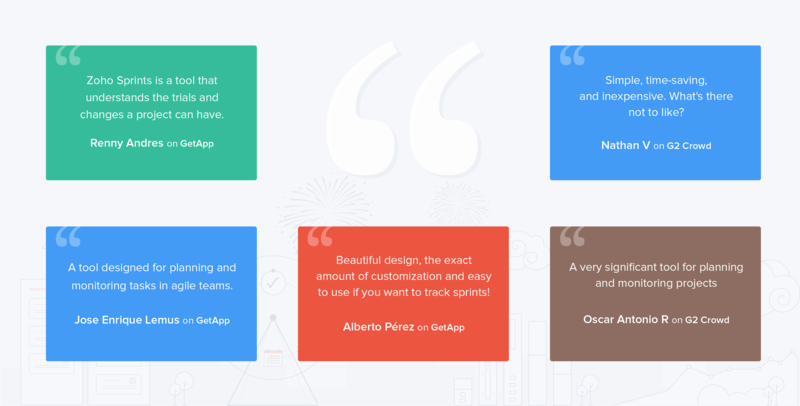 We recognized the benefits of working iteratively, and we built Zoho Sprints, an agile project management tool that helps teams put all their focus on building great software. 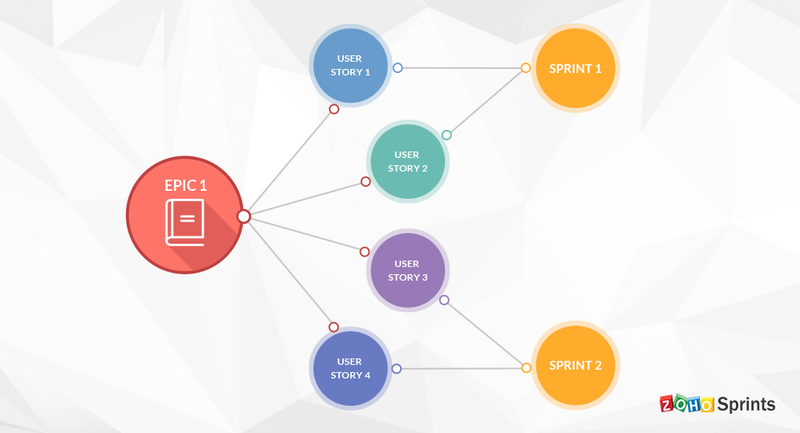 Since its launch, our team has been working iteratively in sprints to add more features. Here are a couple of updates that we shipped recently. One of the biggest challenges of managing multiple projects is to track their progress effectively. Creating a customized report doesn’t need to get complicated with queries or depend on unnecessary add-ons. The Global View option in Zoho Sprints lets you quickly build contextual reports that are accurate and up to date. For instance, you can use the toggle option to view all open work items across all your projects classified by status, assignee, and priority. With our built-in GitHub integration, you can map your GitHub repositories to your projects in Zoho Sprints. 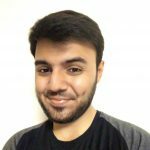 This integration allows you to effortlessly attach your commits and pull requests with your work items in Sprints, keeping all your repositories in sync with your projects’ latest progress. You can learn more about authorizing your GitHub account and our advanced commands here. Our team is incrementally building some exciting features and enhancements. Stay tuned to our blog for the announcement about our next update. 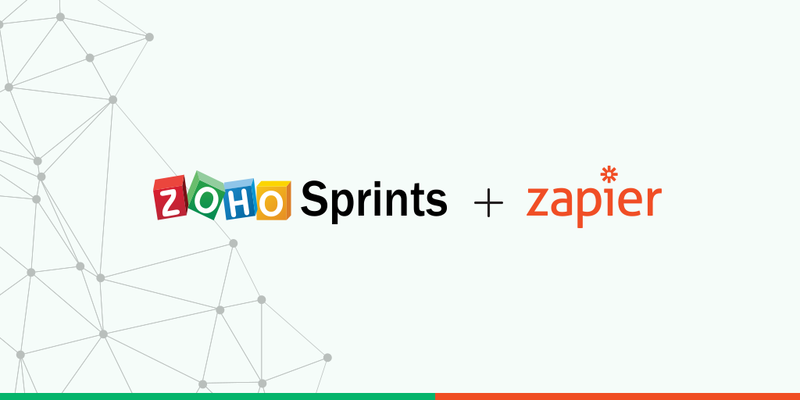 If you enjoy using Zoho Sprints as much as we enjoy building it, share your experiences in the comments below and help us spread the word.